Back in October, L.A.'s Line & Circle released their debut LP Split Figure, an impressive collection of scrupulously crafted yet bracingly alive jangle pop. Today, we're premiering the video for album highlight "Like a Statue" (you will be reminded of early R.E.M. and perhaps a half dozen other classic college rock bands, but that's hardly the whole story). 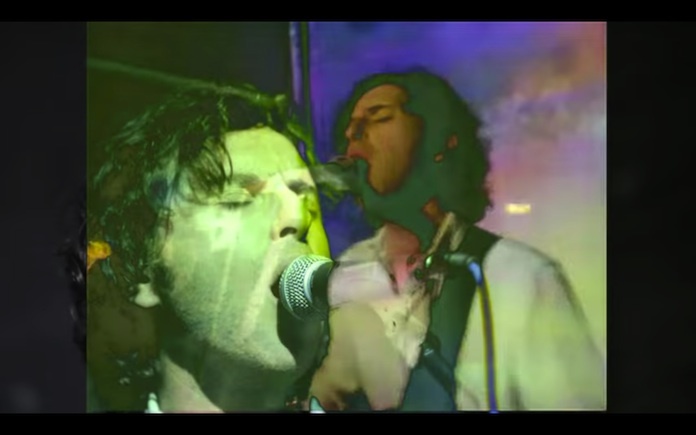 The clip blends live shots of the band and time-warped found footage of a wedding to create a rhythmic rush of imagery that perfectly matches the song's intoxicating flow. Watch below.